Apollo2 modular bathroom furniture combines a designer look with practical storage. All modular furniture cabinets are pre-constructed and feature integrated soft close hinges and drawers as standard to maximise your enjoyment and minimise unwanted noise. 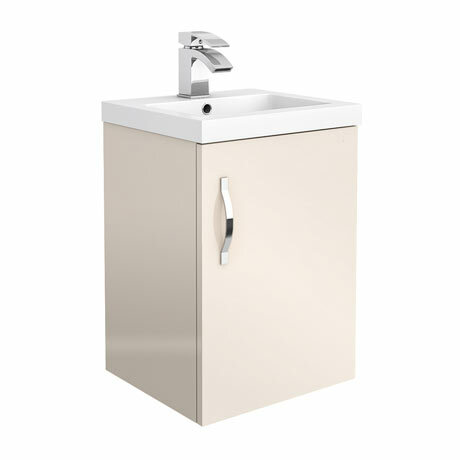 From the modular family the Apollo2 range creates a modern and clean look, this stylish single door wall hung unit comes in a Gloss Cashmere finish and a chrome finished bow handle. Comes supplied with a single tap hole poly marble basin.